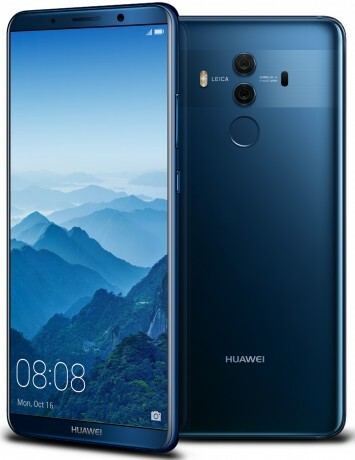 Huawei today announced a range of efforts it is taking to increase visibility for its Mate 10 Pro flagship smartphone. To start, the device will be available for pre-order between February 7 and February 17, with a ship date of February 18. The phone will retail for $799 and will be sold online, unlocked from Amazon.com, Best Buy, Newegg, B&H, and Microsoft. The phone will not be sold by any U.S. carriers, at least not in the near future, but it is compatible with the GSM-based networks of AT&T/Cricket and T-Mobile/MetroPCS. People who pre-order the phone during the initial 10-day window will receive a $150 gift card from the associated retailer. Huawei said it plans to increase its marketing in the U.S. in order to help sell the phone. To start, it has partnered with "Wonder Woman" actor Gal Gadot to serve as the brand's Chief Experience Officer. Gadot has long used Huawei phones, according to the company, and has offered the firm honest feedback over the years. Moreover, Huawei plans to increase its advertising budget in the U.S. to raise awareness of the brand and the Mate 10 Pro. It has already begun to put up billboards with the "the best phone you never heard of" slogan around the U.S. Huawei was expected to announced a distribution deal with AT&T this week, but the arrangement fell apart in recent days for unspecified reasons. Huawei is also making the Porsche Design Mate 10 variant available through the same channels as the standard version. The Porsche Design model costs $1,225. It was my understanding the (non-Pro) Mate 10 was the better phone due to the QHD LCD displaym while the Mate 10 Pro was FHD AMOLED. Personally, they need a QHD AMOLED like LG and Samsung.